Let the games begin again. Today, NBC announced they’ve renewed Hollywood Game Night for a sixth season. Hosted by Jane Lynch, the game show feature two contestants who play party games with celebrities to try to win up to $25,000. Previous guests have included Sterling K. Brown, Margaret Cho, Chris Hardwick, RuPaul, and Michael Bolton. For the past few years, Hollywood Game Night has brought in solid ratings for NBC and season five was not different. Overall, the season (which wrapped in September) averaged a .94 rating in the 18-49 demo and 4.091 million viewers. Compared to season four, that’s a nearly 10% increase in viewership. 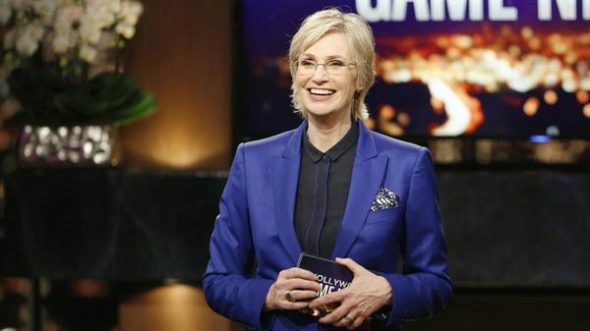 LOS ANGELES (thefutoncritic.com) — NBC has ordered a sixth season of 13 episodes for its alternative series “Hollywood Game Night,” hosted by Emmy and Golden Globe winner Jane Lynch. Last summer’s run of “Hollywood Game Night” averaged a 1.1 rating in adults 18-49 and 4.7 million viewers overall in “live plus seven day” Nielsens, for a jump of +38% in 18-49 and +1.6 million persons or +50% versus the show’s spring-summer averages for the prior year. The summer 2017 edition of “Hollywood Game Night” ranked #1 in its timeslot among the Big 4 networks with each of its final five telecasts in adults 18-49. What do you think? Do you watch Hollywood Game Night? Are you glad it’s returning for another season? More about: Hollywood Game Night, Hollywood Game Night: canceled or renewed?, NBC TV shows: canceled or renewed? So funny…looking forward to this season! We Love Hollywood Game Night and we’re glad it will be back for another season! This show inspires our family and friends to host our own regular game nights that strengthen our sense of community and connection with tons of laughter and light-hearted competitiveness! Well played NBC!